Hindu mythology is rich in symbolism. Shiva is the name of the Universal Godhead -- divine creative energy. 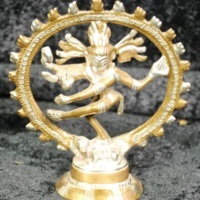 Portrayed as a dancing figure in a ring of fire, Shiva depicts the cosmos coming into being.